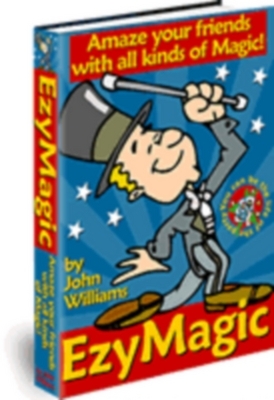 You're The Magician With "Ezy Magic"
Everyone loves to watch Magic shows. We see them on television and occasionally you might see one "live" in your city. They are always great fun. You wonder, "How do they do that?" Maybe you thought, "Could I do that?" Yes, you can! - over a hundred pages of tricks with cards, candy, matches, money, rope and even mind reading so you can impress everyone with your superior mental powers! You also get the essential tips on presentation that make your tricks impress, not just puzzle your audiences. These methods work and it can all be yours in just a few minutes. Become A Successful Magician For Fun Or Profit! *all New! * How To Become A Successful Magician For Fun Or Profit - Private Label Rights Included!